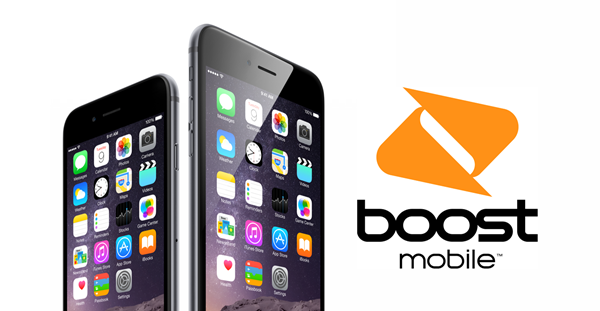 Boost Mobile – Sprint’s prepaid subsidiary – has announced the availability of the new iPhone 6 and iPhone 6 Plus from October 17th, at discount of $100, making it the first prepaid carrier to offer these devices. It is interesting to see that the devices will be made available a day right after the Apple event in Cupertino on the 16th. Earlier when the iPhone 5s and iPhone 5c were launched, the carrier slashed off $100 of the original retail price, just like it has done so for the iPhone 6 and iPhone 6 Plus. Boost Mobile will be carrying the entire iPhone 6 and iPhone 6 Plus’ lineup for all storage capacities, giving users a complete list to choose from, as they would have from Apple itself. Boost Mobile already carries the 16GB iPhone 5s for $499.99, the 16GB iPhone 5c for $349.99 and the 8GB iPhone 4s for $199.99. Some may see the discount as a shallow one when compared to other carriers, considering some rates start from even $0. However, these prices seem to be quite cheaper in the face of contract phones prices, allowing customers to pay for service on a monthly basis. Needless to say that these devices are locked to the Boost Mobile network. 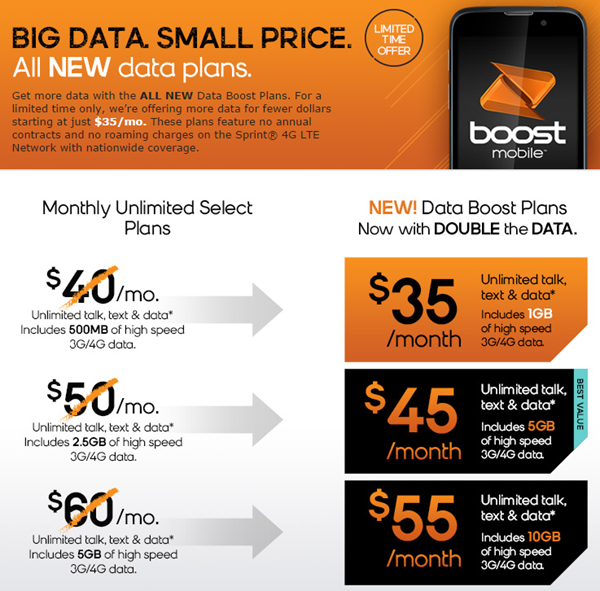 Boost Mobile plans to include unlimited voice and texting, and 1, 5, or 10 GB data packages. More so, the carrier is also decreasing the cost of each plan by $5 until November. According to Boost Mobile – in their bid to promote the iPhone 6 and iPhone 6 Plus – not only have they slashed $5 off each plan, the data limit has been doubled as well, which was at 500MB, 2.5GB, and 5GB previously. Currently Boost Mobile is offering these devices through their Web store only, but it is inevitable that the devices will reach its retail outlets pretty soon. Apple will continue to roll out the iPhone 6 and iPhone 6 Plus to more carriers in more regions, hoping to have the phone in some 115 regions by the end of 2014. Let us know if this Boost Mobile offer has you excited. Sound off in the comments section below! Are the phones sold unlocked?! Because they use a older CDMA network which is supposedly slower than GSM networks. Before 1 year I lost so much and after that I was fortunate enough to stumble upon a great website which literally saved me.